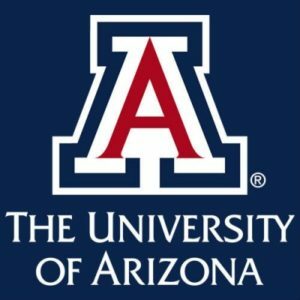 The University of Arizona appears in our ranking of the Top 10 Psychology Degrees Online (Bachelor’s). The University of Arizona offers psychology programs for graduate students and undergrads through its School of Mind, Brain and Behavior. Three of those programs are open to undergrads only, one of which is a Bachelor of Arts in Psychology that is available online. Students can sign up for the university’s Buddies Program, which allows them to connect with some of their peers both offline and online. Undergrads can also earn a BA in Psychology through a traditional program that is available on the university’s Tucson. All psychology majors will take an Introduction to Psychology course, which shows them some of the ideas and concepts that they will explore later. The program also features courses such as Academic and Career Success for Psychology Majors, Psychology of Love and Spirituality, Drugs and the Brain, Cognitive Psychology and Sensation and Perception. Students have the chance to do internships and independent study projects too. A Bachelor of Science program is also available for those who want to continue their studies at the graduate level. Graduate students can major in clinical psychology, social psychology or cognition, and neural systems. In addition to majoring in one of these fields, they can also choose a minor in neuropsychology, health psychology or ethology, and evolutionary psychology. Each program focuses on preparing students to work in that area and teaches them skills relating to similar disciplines. They may need to do internships in the field or create research projects. These graduate programs help students make the transition from an undergrad program to a doctoral program and allows them to earn their doctoral degrees. Also available is a joint program that awards students a psychology and a law degree. Prospective students must apply to both the university’s graduate school and College of Law to enroll in the joint program. The University of Arizona offers a counseling program with specializations in rehabilitation and mental health or school counseling. Students will take 48 credits of core counseling classes, including Diagnosis and Treatment of Mental Health Disorders, Counseling Theories, Problems of Drug Abuse and Counseling with Couples and Families. They will also do a practicum with a focus on mental health counseling and an internship that is worth 12 credits. The University of Arizona requires that students take 12 credits of courses from within their specializations too. The University of Arizona is one of the best and largest colleges in the United States. Founded in 1885, construction on its Tucson campus began just a few years later. It was the first full university established in the state and offered opportunities for all types of students. Arizona State University opened at around the same time but only offered education programs. The University of Arizona offered degree and certificate programs in more fields. For more than 20 years after opening, the university also served as the state’s primary high school. Once smaller schools opened across the state, it eliminated its high school program. Now called U of A and Arizona, the university is the 48th best college in America, according to ARWU. U.S. News and World Report ranked U of A as the 106th best college in the United States and the 73rd best university in the entire world. The clinical and school psychology programs offered by the university have APA accreditation. It also has accreditation from the Council for Accreditation of Counseling and Related Educational Programs (CACREP). The North Central Association of Colleges and Schools (NCACS) granted U of A regional accreditation also. U of A has a high acceptance rate and welcomes a large number of new students every year. Undergrads have until May 1 to submit their applications for the fall semester, though those who want scholarships and other forms of financial aid should submit their applications before that deadline. The university looks at whether students completed four years of English classes, three years of social studies, math and science courses and if they took electives and foreign language classes in high school. U of A also requires that undergrads either have a high school GPA of at least 3.0 or that they graduate within the top 25% of their classes. Prospective undergrads must submit the U of A application, pay an application fee and provide their high school transcripts and test scores too. Graduate students must meet specific requirements instituted by the university itself and the programs they want to study. The graduate college asks that students have a bachelor’s degree from a college or a university that has regional accreditation and that they submit an online application. They can submit unofficial college transcripts online in a PDF format. The psychology department will only accept students who can start in the fall and requires that they submit their applications by December 1. It also requires an official GRE score. Students applying to the counseling program must submit two official copies of their transcripts, three letters of recommendation and an autobiography. They will also submit their transcripts and an application. When students apply to U of A, they can state on the application whether they are Arizona residents or if they live in a different state. Those who are residents qualify for its in-state tuition rate. Undergrads pay $12,400 each year. Nonresidents pay U of A $36,400 a year. Graduate students who are Arizona residents pay $10,900 each year in tuition and fees, while nonresident graduate students pay $22,000 every year. Students at all levels can also live on the Tucson campus, but they will pay room and board fees at the beginning of each semester. U of A offers scholarships for both undergrads and graduate students. Students will need to submit the FAFSA, which will help the university decide if they should get any need-based aid because of their financial needs. Merit-based scholarships only go to those who meet other requirements such as having a higher GPA or a specific test score. The financial aid packages awarded to students every year may include federal loans and state grants too. Any student majoring in psychology or counseling at the University of Arizona should apply for financial aid in the late spring or earlier.